Why 'clean' a tarot deck? Every now and again I get the sense that something is off with my tarot cards + feel the need to realign my relationship with them. It’s that niggling feeling something isn’t quite right + that something needs to change. Most cartomancers do some sort of cleansing each time they read; for me it's a simple series of shuffles + a slow, steady breath into the cards. But from time to time a more significant process feels called for to really rejuvenate them. As those of you who know, with the art of cartomancy it’s all about listening to one’s intuition + allowing that to guide you. In most all these cases, it is the underlying feeling of reconnection to the cards that is prompting the desire to perform a more ritualised cleansing. *I actually am not too precious about allowing others to browse my cards as it makes for a stronger connection when I subsequently read for them; cleansing the cards in this instance it is more about reconnecting the channel between us than wiping any lingering energy imprint. 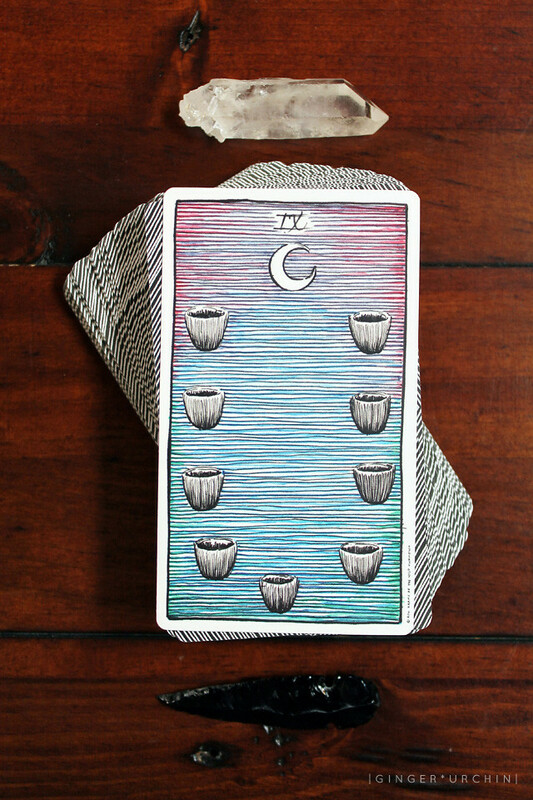 How do I clean my tarot deck? So tell me: do you have a process for cleaning your deck? I am currently accepting requests for the Halloween Balsamic New Moon, on October 30th. Kindly note that space is limited each moon on a first come, first served basis. Thank you for your support!